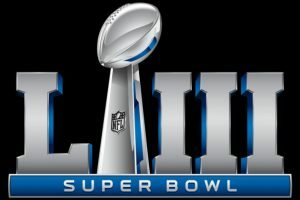 Hopefully, you read our Super Bowl LIII article from yesterday. If you didn't, you can read it by clicking here. 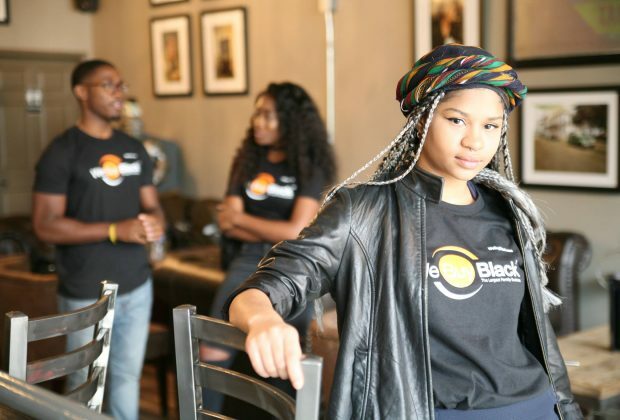 Now you have a list of Black-owned businesses to visit in Atlanta. That's great! But what about before you get to Atlanta? Are you ready? Do you have everything you'll need? If you're not ready, don't trip. We Buy Black has everything you'll need for a smooth weekend in Atlanta. 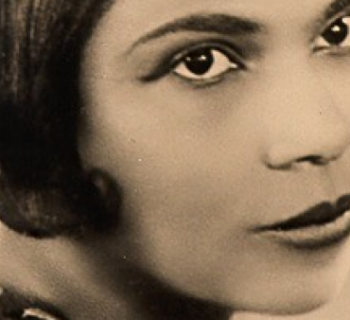 Go down our checklist and make sure you have these Black-owned items. If you're going to the Super Bowl this weekend, then you'll probably be repping your team's jersey. That's cool. Don't forget, however, that you'll be in Atlanta, the home of We Buy Black. Therefore, instead of wearing Rams or Patriots apparel, why not represent our team, the largest online marketplace for Black-owned businesses? 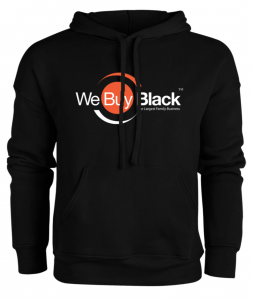 Head on over to our WBBShop on webuyblack.com and purchase your WBB jersey. You can rock a dope WBB T-shirt, sweater, or hoodie. Order your gear now! There's nothing worse than being uncomfortable at an all-night event. It's bad enough you're going to be sitting on a hard bench for 4+ hours this Sunday. Why would you want the added stress of uncomfortable underwear? Well, fellas, now you don't have to be uncomfortable. Champ The #1 Boxers ensures maximum comfort. With their cotton stretch fabric, elastic logo waistband, and no-ride-up-guarantee, you'll feel like you're watching the game while sitting on a cloud. 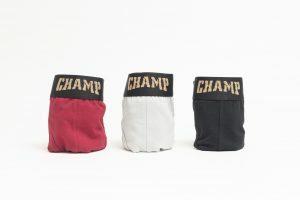 Place your order for Champ The #1 Boxers here. You're not going to just any football game. You're going to Super Bowl LIII in Atlanta, Georgia. You can't set foot in the Mercedes-Benz Stadium without your facial hair looking fresh. Since you're beard, goatee, soul patch, etc. are of the utmost importance, you probably have a set of clippers, right? Do you really want to pack that and travel all the way to Atlanta with it? Why not purchase disposable razor blades? 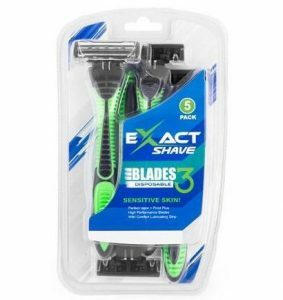 Click here to purchase a 5-pack of Exact Shave disposable razors. Keep your beard tight, and keep your dollars in the Black community. There's no point in looking fresh if you aren't smelling fresh. Exact Shave has the former covered, but who has the latter covered? Garner's Garden has what you need. 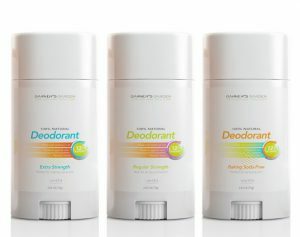 In addition to mouthwash and tooth powder, which you should also check out, try their 100% Natural Deodorant. These unisex deodorants last for 12 hours. Although Super Bowl LIII shouldn't last that long, at least you know you won't funk up the stadium when you do the wave. Click here to get your Natural Deodorant today! Since you may be traveling a nice distance to Atlanta for Super Bowl LIII, you're going to need something to carry all of your Black-owned goods in. 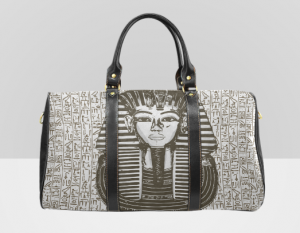 Check out this King Tut Travel Tote Bag from SoulSeed Enterprises. With this tote bag, you can observe Black History Month while trekking to Georgia this weekend. Standing 12 inches high and 20 inches wide, you can store all of your new Black-owned gear in this single tote. Click here to get your bag today so you can travel in style this weekend.